The term of the Gujarat Assembly will expire on January 22, 2018. The Election Commission has declared that voting for electing the new Assembly will be held before December 18 this year. The BJP has won every assembly election in the state since 1995. This time, however, the Congress fancies its chances, Narendra Modi being away at the Centre. It’s a prestige battle for the Congress and the BJP, and neither of these parties is taking any chances. In the last three months, the prime minister has visited Gujarat thrice. Rahul Gandhi, too, has been warming up the pitch in Gujarat with his yatras. 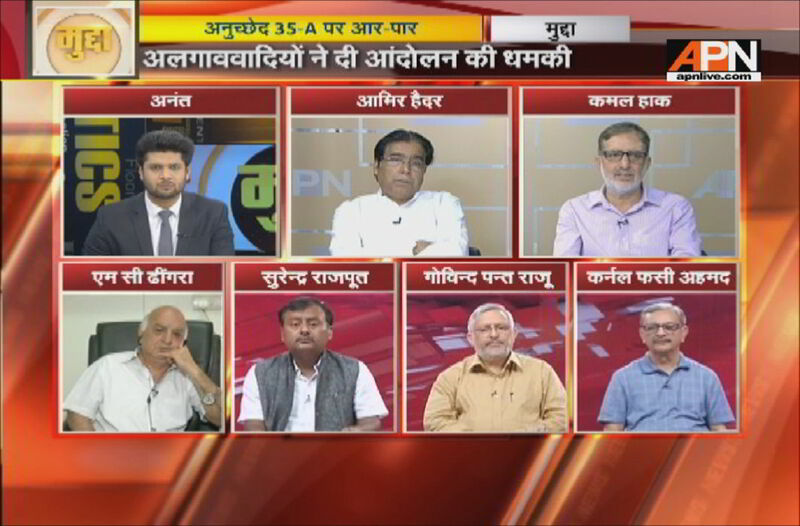 The matter was discussed at APN’s popular debate Mudda, with panellists Ajay Verma of the Congress, Ashok Thakur of the BJP, Govind Pant Raju, consultant APN, and anchorperson Arvind. Ajay Verma said that when the Congress had proposed a GST regime with a 14 percent slab, the issue had created a stir. “Now with the BJP increasing it to 28 percent, obviously people are unhappy about it. There are other issues, too, like lack of women’s safety, unhappiness of Gujarat cloth merchants and jewellers, the Patidar and farmers’ agitation, the dalit unhappiness and so on, which is why the BJP is so edgy in Gujarat,” he said. Ashok Thakur said that no matter how many visits Rajul Gandhi makes to Gujarat, the Congress will not go beyond the 50-seat mark. 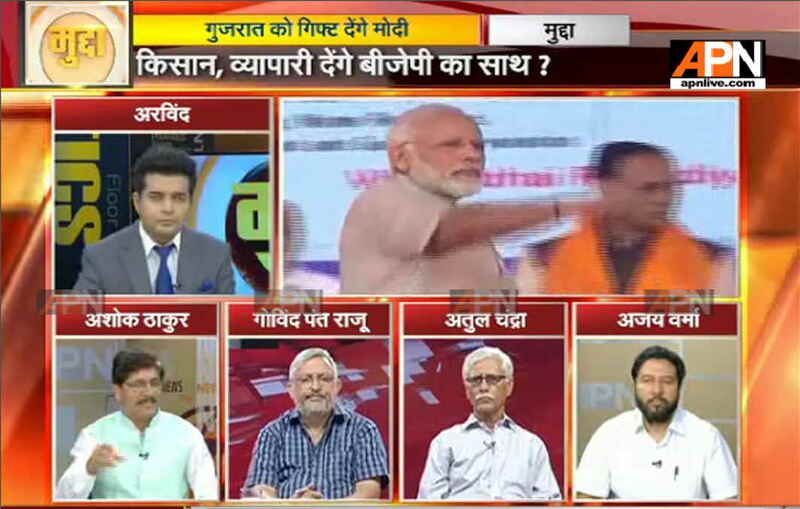 Govind Pant Raju said that the BJP has been in power in Gujarat for 18 years, but this time with Modi at the centre, obviously it has become a prestige issue not to let Gujarat slip out of BJP hands. He said that with Ahmed Patel winning the Rajya Sabha poll, the Congress feels it has a good chance to make a dent into the BJP stronghold this time. Ashok Thakur pointed out that Ahmed Patel may have snatched a last-minute victory, but it should not be a reason to rejoice for the Congress. He said that the BJP is making sweeping changes the benefits of which will percolate to the aam admi soon. “The GST regime has just started, it needs to be given some time… in any case, the BJP is open to reviewing it periodically so that everyone benefits eventually,” he said. Ajay Verma asked that after GST, why should people pay other taxes like the toll tax, entertainment tax, etc? The BJP needs to look into this. He questioned the need to launch the bullet train when farmers are reduced to committing suicide in the country. 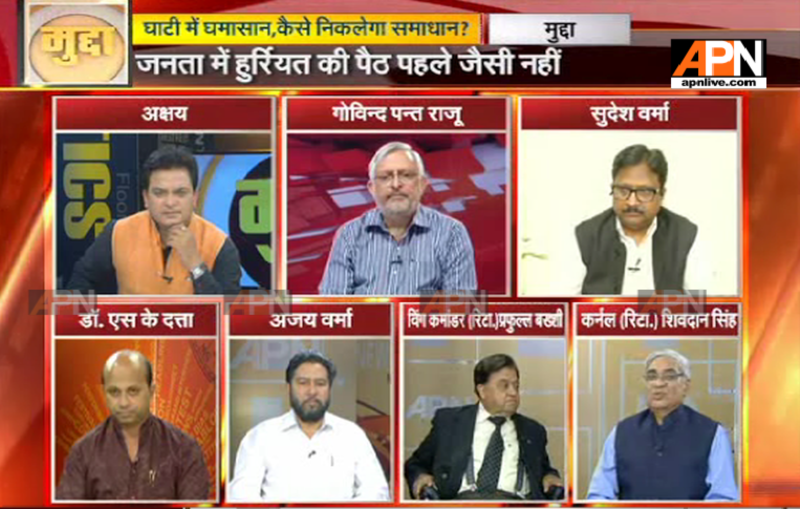 The second part of Mudda was taken up by the string of statements made in recent times over the Taj Mahal. BJP MLA Sangeet Som has called the Taj Mahal “a blot on Indian culture” and a monument “built by traitors”. This prompted the Uttar Pradesh government to clarify that the Taj was a part “our proud heritage”. Also, amid criticism for allegedly ignoring the Taj Mahal in the state’s tourism brochures, Uttar Pradesh tourism minister Rita Bahuguna Joshi stated that the monument was “our cultural heritage”. Historian Dr Ayubbi said that it should be seen whether the statement is a “political view” or an “expert view”. “If it’s a political view, then it should be ignored,” he said. 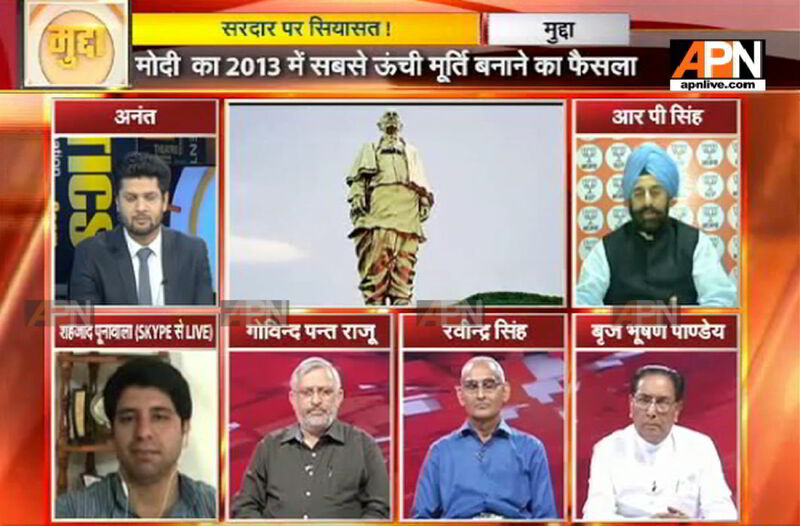 Political affairs expert Atul Chandra said that the BJP likes to view all non-Hindu history as “non-existent”. In that sense, the medieval history is outside its understanding, which is why such irresponsible statements have been made against the Taj, which is a national treasure. Muslim affairs expert Maulana Saif Abbas said that the Taj is a matter of pride for every Hindu. 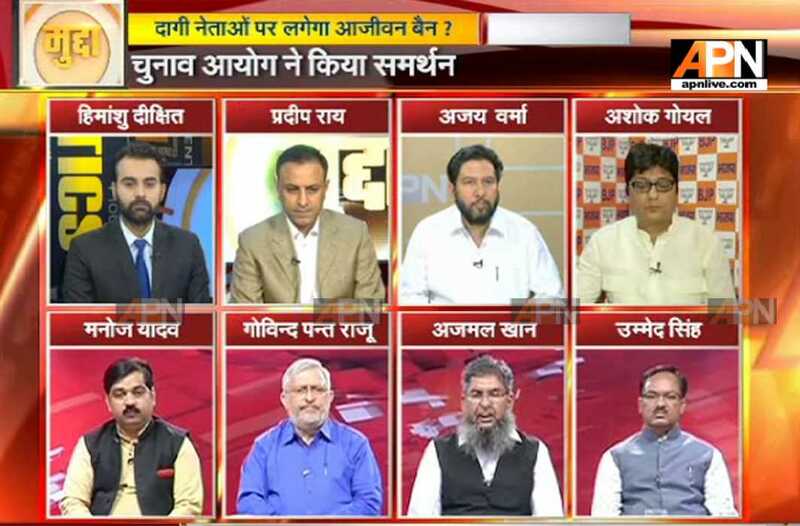 When Ashok Thakur said that Sangeet Som’s personal opinions should not be confused as the party’s opinion, anchorperson Arvind asked him pointedly, what is the party’s view on Som’s opinion? Thakur insisted that the two views are different. 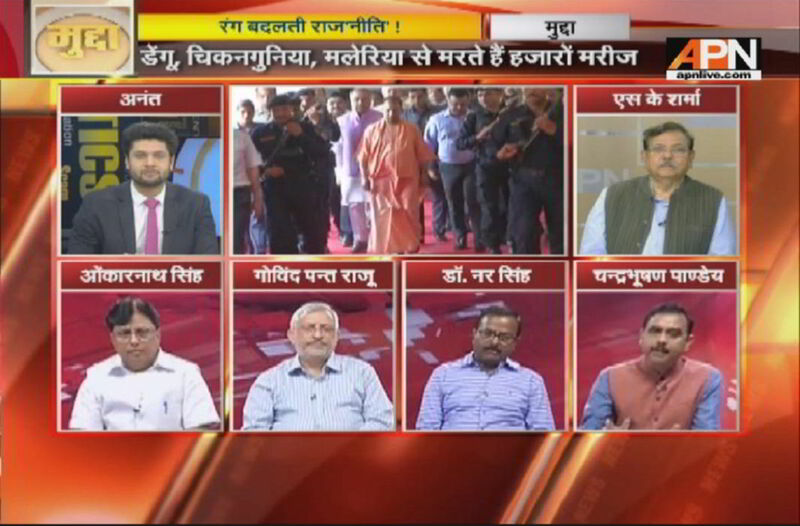 Govind Pant Raju said that these statements have been raked up only to gain political mileage, and they eventually thwart constructive debate in the country. “In the bid to sensationalise issues, we should not lose track of development,” he said.